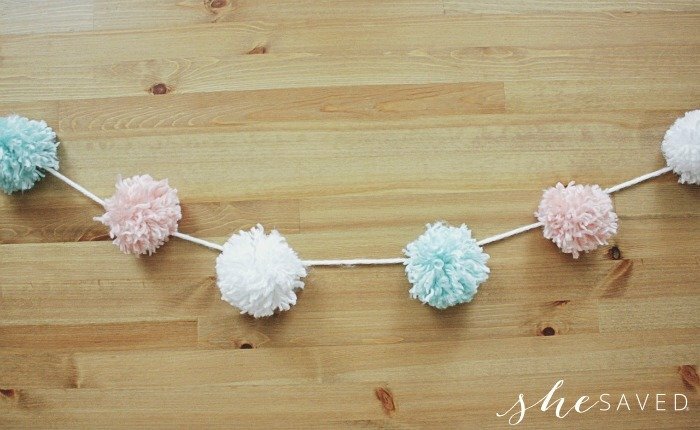 Such a fun craft project, this darling DIY Party Yarn Pom Pom Garland Craft is not only wonderful for birthday parties and events, but it also makes for cute decoration in children’s rooms or classrooms. 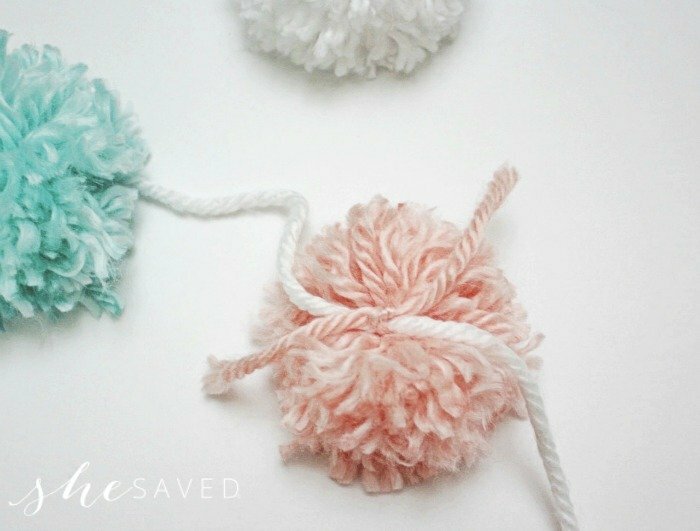 My daughters loves to make pom poms and I love that they are super affordable with minimal supplies needed. In fact, really all that you need is yarn and a pair of scissors! 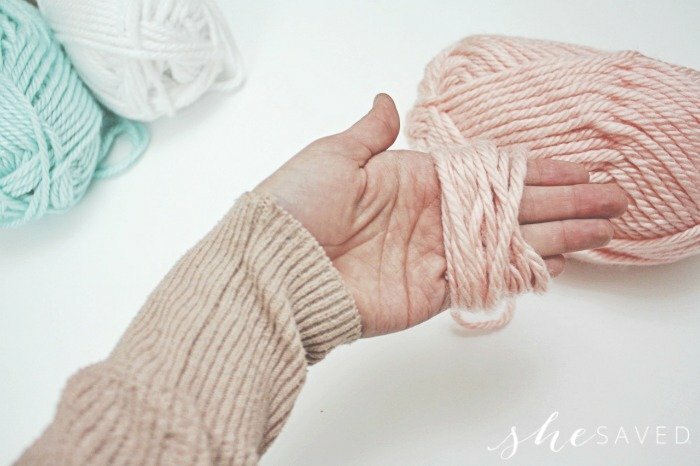 The first step is to select your yarn and start wrapping yarn around your hand. 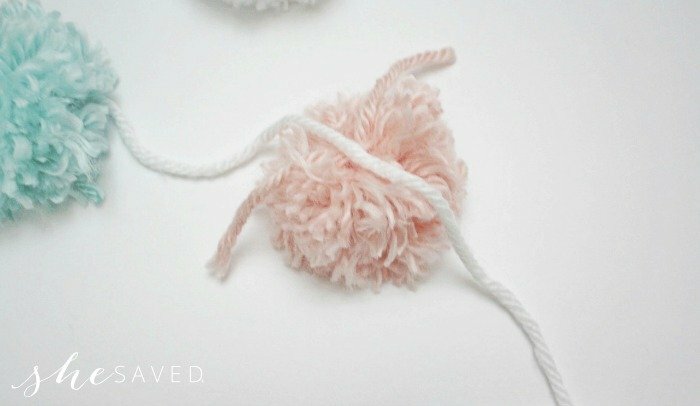 We like thick pom poms and them more you wrap, the thicker your poms will be. You can also select the size of your pom poms based on how many fingers that you wrap the yarn around. Here’s a tip: Count the time you wrap so that you can wrap the same amount each time so your pom poms will all be the same size. 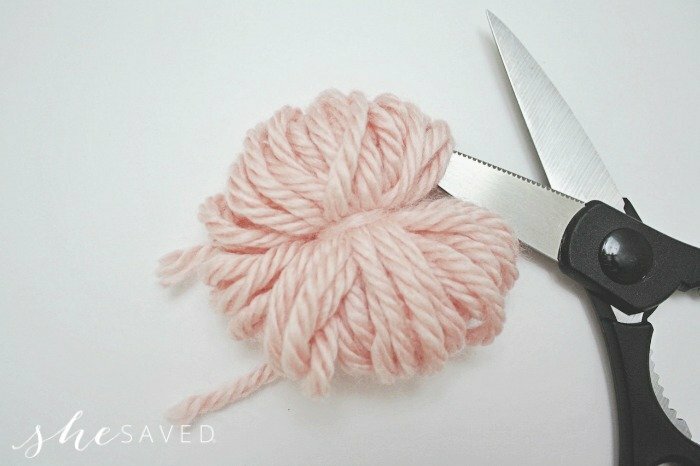 Now, you’ll want to use your scissors to cut the loops at the edges of your pom. Cut until all loops are cut. Use your fingers, or even a comb (we used a pet comb!) 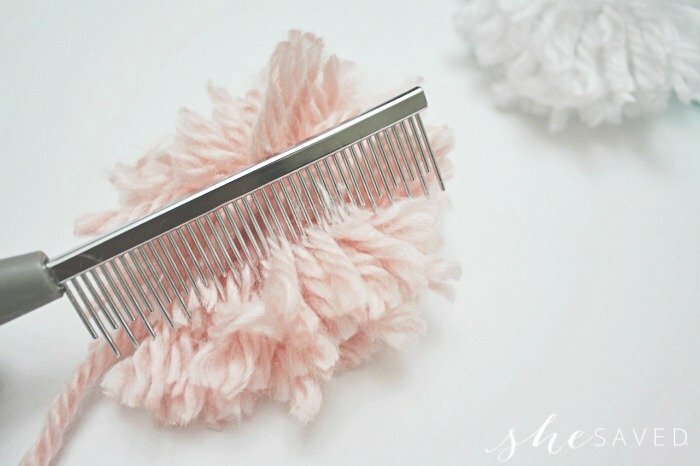 to fluff up your pom poms. Aren’t these just the cutest? As you can see, such cute wall decorations that are perfect for birthday parties, classrooms or even great for tween and teen bedroom decor! You can select yarn color based on the theme of your party. We love to make these in holiday colors and they are even cute on a Christmas tree. Looking to up your gift wrapping game? 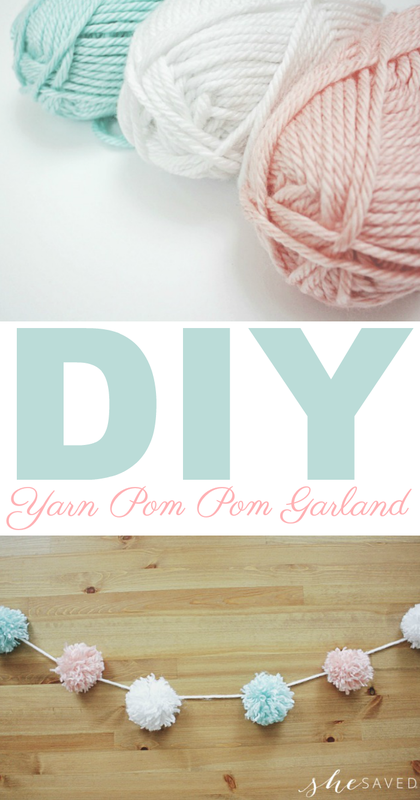 This yarn garland also makes a darling package topper! 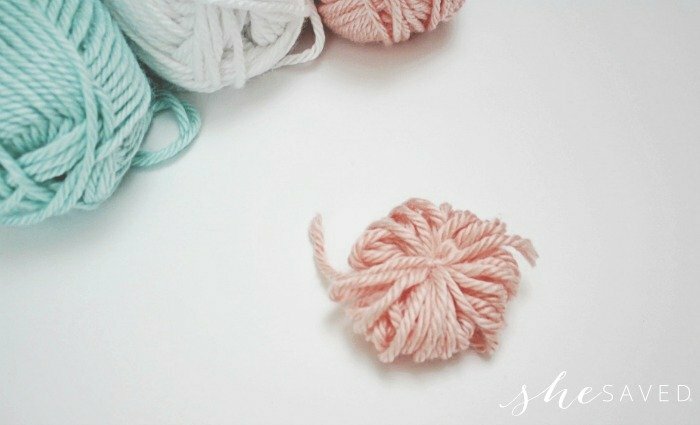 You can use this same yarn pom pom technique to create fun little pom pom animals as well. Add some google eyes and some feet, and you have fun pom pom animal characters to share with your friends. 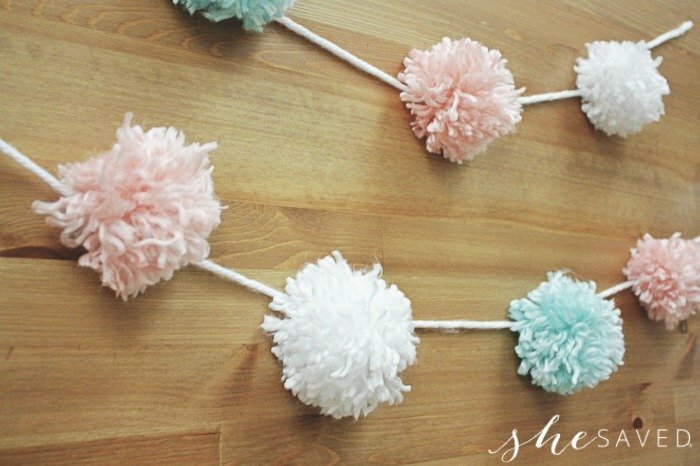 You can also use pom poms as pencil toppers, locker decorations or tie them to your tennis shoes for a fun fashion look! Put them on hair bands or make bracelets. As you can see, your pom pom creation possibilities are endless and the sky is the limit when it comes to what you can do! We love fun and easy DIY crafts, especially ones that call for minimal supplies. Gabrielle, I am so glad you enjoyed this craft, it's one of our favorites...so easy! Thanks for taking the time to comment!